The Network File System (NFS) protocol that enables remote access to files is now a key element of any LAN. It is also currently and increasingly used as a key technology with the Web and wide area networks. Written for programmers creating NFS-based applications, network engineers creating new implementations of NFS, and network managers, NFS Illustrated promotes a thorough understanding of that protocol through extensive diagrams and real protocol traces that show NFS in action. Covering NFS versions 2 and 3, the book also looks into WebNFS and the new NFS version 4, with Internet support. Detailed and authoritative, the book not only examines NFS in depth, but also describes the protocols that underlie and support it, including External Data Representation (XDR), Remote Procedure Call (RPC), the NFS MOUNT protocol, and the NFS Lock Manager protocol. It discusses several NFS variants and compares NFS to a number of alternative file systems. You will find a detailed discussion on the NFS filesystem model and a procedure-by-procedure description of NFS versions 2 and 3, illustrated through the use of snoop traces that capture and display protocol packets from the network. In addition, the book addresses real-world implementation issues faced by those building an NFS client or server, factors that affect NFS performance, and critical performance benchmarks. 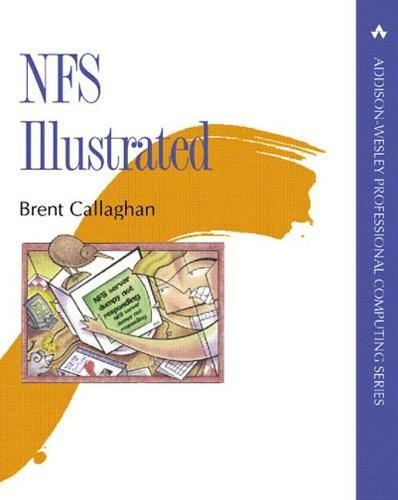 Comprehensive and current, NFS Illustrated is an essential resource for network professionals who want to use this widespread and evolving technology to its fullest.